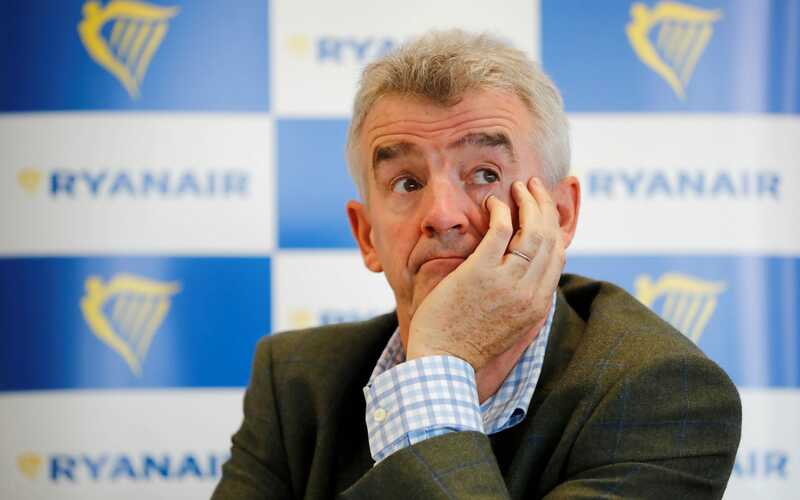 Ryanair boss Michael O’Leary has downplayed the prospect of prolonged flight chaos under a no-deal Brexit, softening previous warnings that such a scenario could have catastrophic consequences for the aviation sector. The outspoken Irish chief executive reiterated his view that flights would be grounded at the end of March in the event that London and Brussels failed to strike an accord. The gravity of being unable to fly would quickly become apparent to “Jacob Rees-Mogg and some of the crazier wing of the Brexiteers”, he said. Mr O'Leary added that politicians would quickly work out a solution once they were faced with having to explain why there were no flights. Airlines remain divided as to the precise implications of Brexit on the sector. Some have played down the impact, such as Willie Walsh, the boss of British Airways owner IAG. Mr Walsh has previously said anyone who thinks a comprehensive open skies deal will not be agreed “is living in cloud cuckoo land”. Mr O’Leary said a no-deal Brexit was still the most likely outcome. He urged transport secretary Chris Grayling - who he said he had not spoken to “for 10 to 12 months” - to “get up off his backside and go and do a deal” with the EU. Meanwhile, he predicted that Prime Minister Theresa May “will be gone by Christmas”. Her replacement would be a Brexiteer, he said, who would realise that, with no time left to strike a Brexit deal, the only option would be to relent and agree to a Brexit transition period. The comments came as Ryanair announced 23 new routes for the London 2019 schedule, in the hope of overtaking easyJet in terms of the number of passengers carried in the next 12 to 18 months. In March, Ryanair said it would add a warning on tickets for flights after March 2019, saying departures would be subject to regulatory approval. Ryanair has faced crippling industrial action over the last 12 months. Air traffic controller problems have blighted the wider sector, but the low-cost carrier has been hit by walkouts by pilots and cabin crew. “It will take a period of time to deal with the unions,” Mr O’Leary said. “We do not want strikes but we are prepared to put up with them. We won’t roll over like easyJet." The fact that more Ryanair customers booked directly with the airline meant they were in more control of customer information, but he said “we cannot guarantee” Ryanair could not be similarly afflicted in the future.